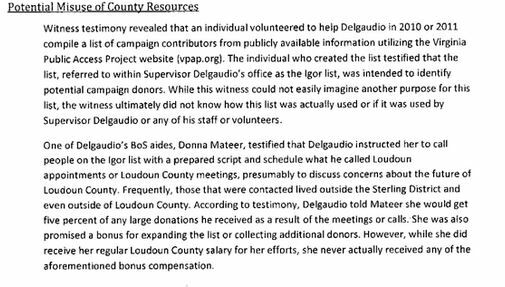 The Grand Jury that investigated Delgaudio issued a scathing special report about his actions(and lack of action serving his constituents). The Board of Supervisors ultimately censured Delgaudio due to his misconduct and he voted against an ethics ordinance prevent future misconduct. It should be no surprise that he supported another indicted local politician who lacked ethics. The summary starts on page 5 of the pdf or pg 3 on the scanned report.